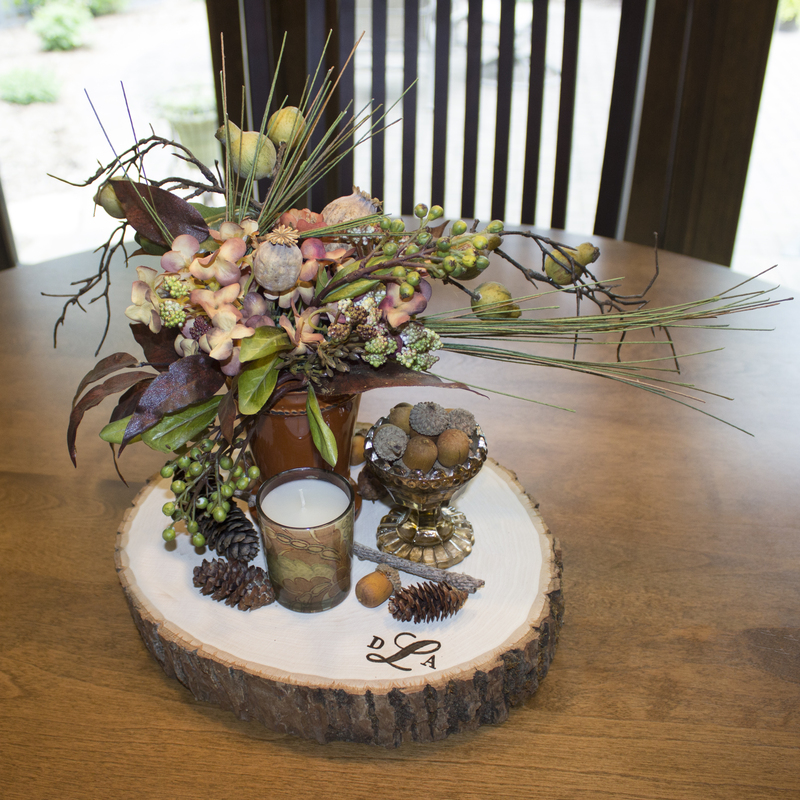 For the past few years, we have seen an increase in interest for rustic table décor. There is nothing quite as popular as the signature Walnut Hollow Basswood Country Rounds® and Basswood Country Planks® to use anytime during the year. 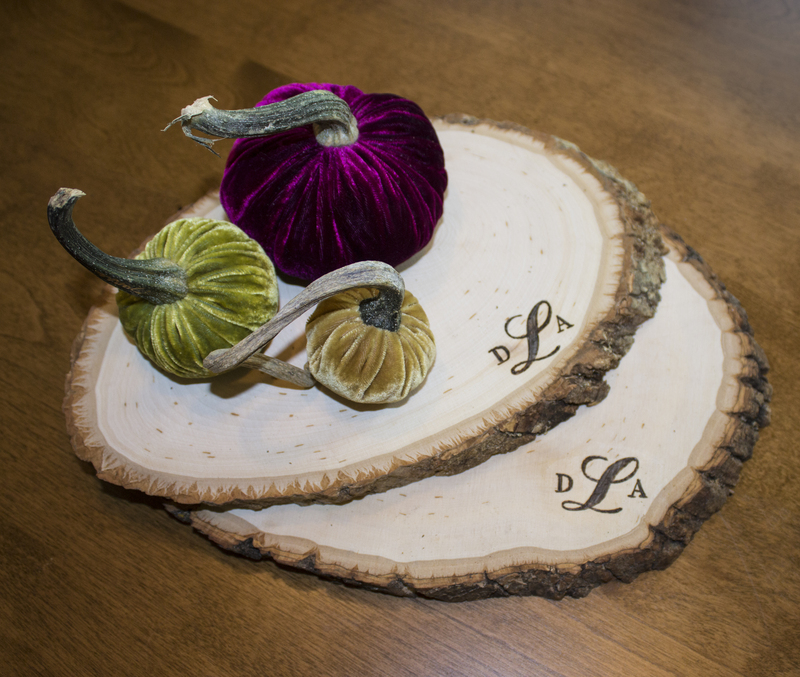 It’s very easy to create your own plate chargers, trivets and even a centerpiece for your next dinner party, or how about this coming Thanksgiving? 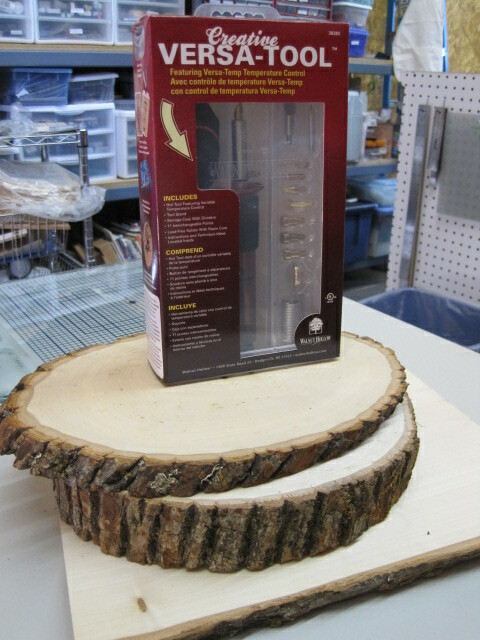 All you need is a Creative Versa-Tool® (CVT)and a few Basswood Country Rounds® and Basswood Country Planks®! Oh, yes – you also need a computer. 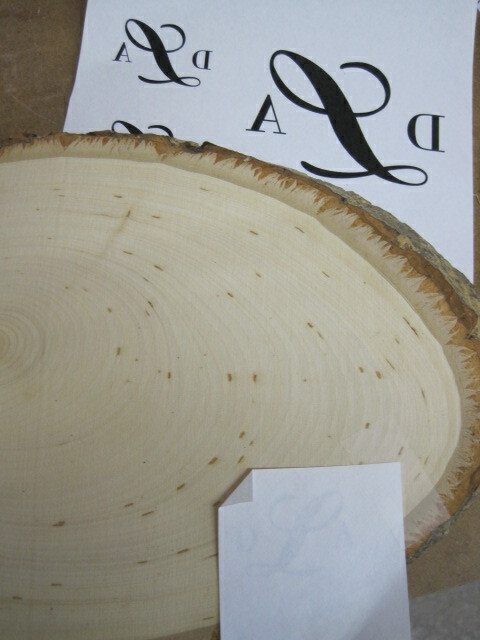 Find a font that you like and reverse it before you print it on a laser printer. It has to be a laser printer to make the copy. 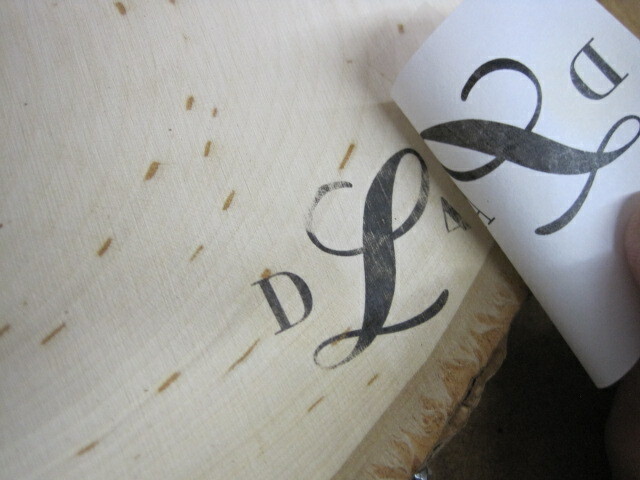 When you place the laser copy of the monogram ink-side down onto the wood to transfer it, it will transfer correctly. Use pliers to attach the Transfer Point onto the CVT. Place the CVT on the Tool Stand and plug it in to heat for 4-5 minutes. You can turn the Versa-Temp control dial to the Orange Zone because you don’t need the transfer to be too dark – just dark enough so you can see the lettering. 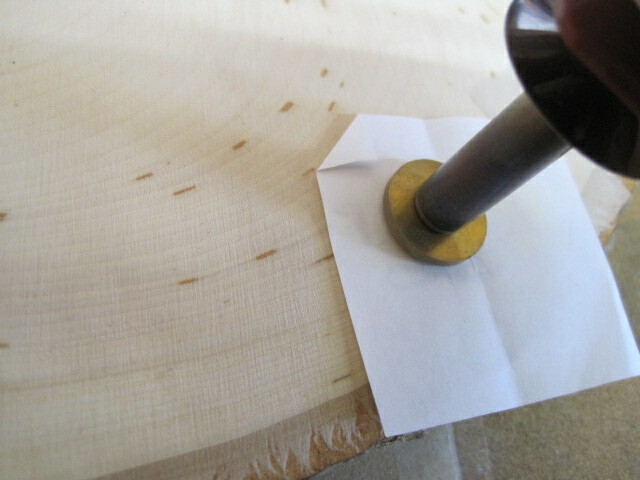 Once the monogram is transferred, use the pliers to remove the Transfer Point and drop it into a ceramic dish or mug. 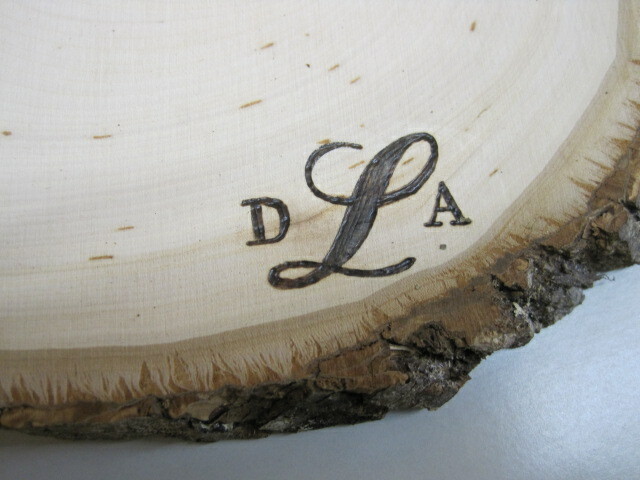 Attach the Flow Point or the Universal Point using the pliers and you are ready to wood burn the monogram. 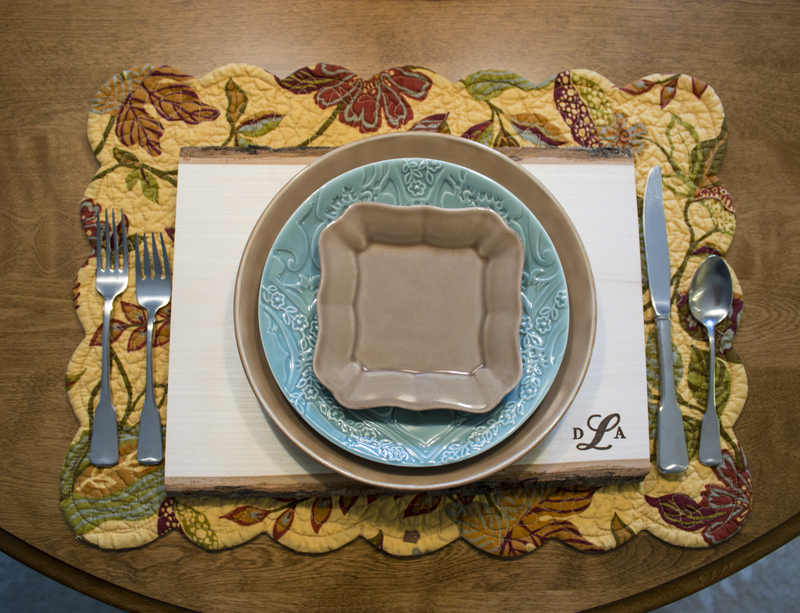 This is a great way to personalize your dinner table. It’s also a great idea for a gift!